Bevinco airfield (French: aérodrome de Bevinco, also known as Bastia-Bevinco airfield) was an airfield on the northeast coast of Corsica. 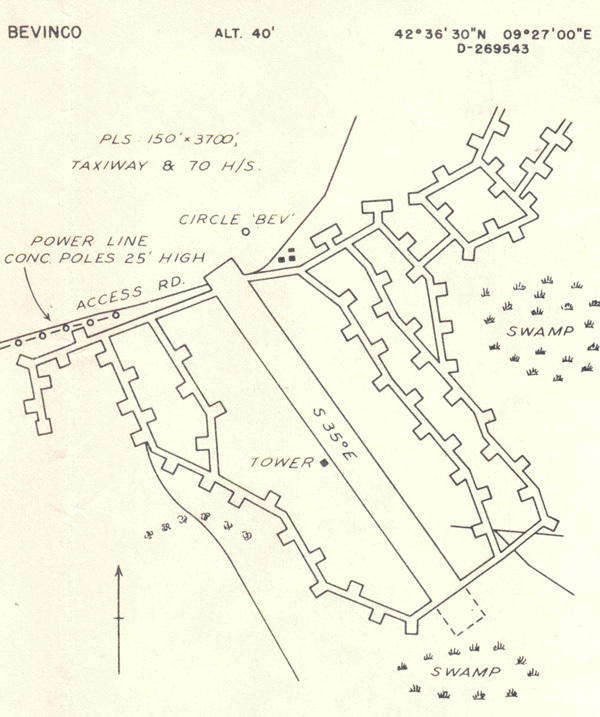 Bevinco airfield was a part of the USS Corsica group of airfields. Bevinco airfield was mainly used by C-47 Skytrains/Dakotas to provide equipment and food for other airfields situated in Corsica. Traces of missions to Bevinco can be found in the archives of the RAF squadrons 512 and 575. No photos of the airfield while in use were found. 18th July advance party of three aircraft piloted by SL Glenn, FO Rivalant and WO J. Howard left Cairo West at 0800 for Castel Benito where they spent the night. The following day they left Castel Benito at 0700 and flew to Bevinco. The airport is used for transport and communication aircraft and is a single strip, hard earth and 1200 yard long. Dispersal is cramped as surrounded by trees. Camp is one mile away and transport was borrowed from No. 63 Staging Post as our own transport has not arrived from the mainland. Cargo: Assist move of No 324 Spitfire Wing to new base at Ramatuelle, France. In an Accident Report dated Saturday 2 September 1944, the airfield is mentioned in a landing accident with C-47A '42-24288', which was Written off (damaged beyond repair). 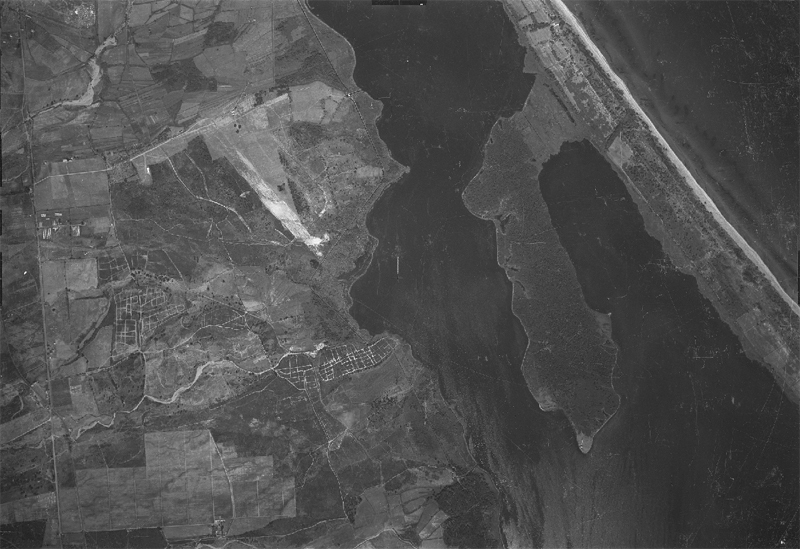 The airfield was still visible four years after it was closed. 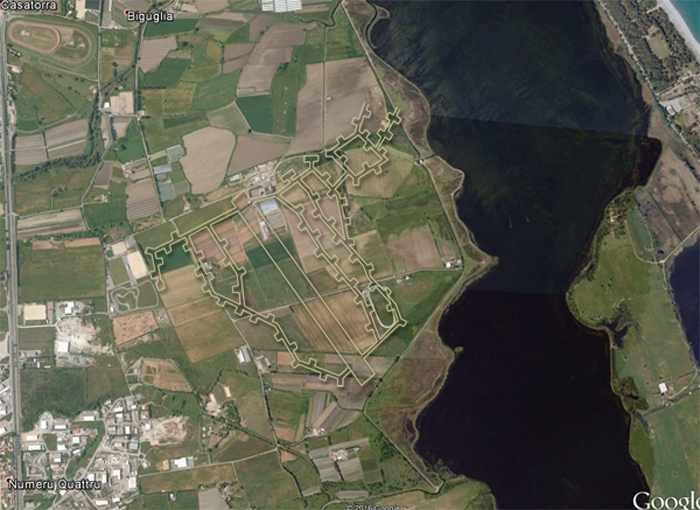 Composite photo to show where the airfield was located (google earth/forgottenairfields.com).